When entering a new culture, one way to learn a lot about the people there is to visit a local festival. Festivals can revolve around the seasons, religion, politics and much more. One famous festival in Southern India is the Elephant Festival. Elephants are decorated in colors and gold, and the festival is dedicated to Lord Shiva, the god of destruction. The elephants themselves are seen as the incarnation of the elephant god of luck and prosperity. During the festival the elephants parade through the streets of the village to the temple. The festival is celebrated in late April or May. God is all about relationship. He wants us to have relationship with Him and for us to have relationship with each other. This can take us way out of our comfort zone. I have seen it more than once; the mission team stays huddled as a group, practically ignoring the people they are there to help. Why? They don’t know how to relate to the people, and this makes them afraid. Sadly, their fear may be misinterpreted as snobbery. 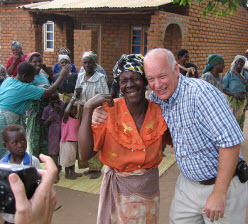 Most of the trips I have taken have been for the purpose of building and evangelizing. The work happens in the morning, and the afternoon is reserved for Vacation Bible School with the children and adults of the town we are working in. 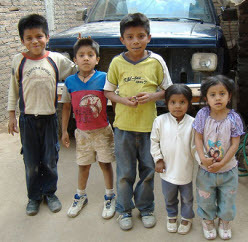 While in Mexico a few years ago, I heard one man say, “I came here to build a house, not to do VBS. 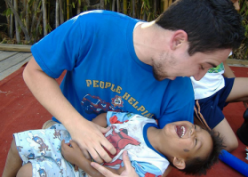 But had I not been made to do the VBS, I would have missed the most important part of the trip.” He would have missed relationship with the children and one homeless man who took a liking to him. The next day that man worked shoulder to shoulder with us, and we had the opportunity to really show him what Christ is about. 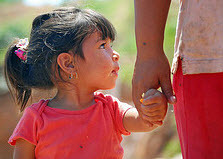 Every year we return to that community in Mexico and work in partnership with the pastors and people there. We have a relationship of cooperation and love for the purpose of advancing God’s kingdom by serving and evangelizing. Language barriers can be a hindrance to forming relationships, but are possible to overcome. I try to make a point to learn at least a few words of the language and always have my dictionary handy. I have found that people are pretty forgiving of my fumbling and are actually very appreciative that I am at least making an effort to communicate with them. I actually once had an enlightening “conversation” with my Romanian hostess (Maria) as she demonstrated the art of the sponge bath. She spoke absolutely no English, and I knew only a handful of Romanian words, but we got along really well. Sometimes we both got a little frustrated and tired with trying to make a point, and we would both throw up our hands as if to say “Never mind, it’s not that important.” Even though we had trouble communicating verbally, we still had a wonderful relationship. Everyone understands a hug. What about here at home? People in nursing homes and other housebound situations welcome conversation. People in homeless shelters may feel despised and unaccepted. They may even be suspicious of our motives until they see that we are acting because we truly care for them. Can reaching out to form relationships be costly? Yes, it can. It costs time and energy, and it can expose us to situations we would not choose for ourselves. But we can be living, breathing examples of Christ and show people how valuable they are to Him because we called them friend. Location: North America; bordered by the Caribbean Sea and the Gulf of Mexico on the East, Belize and Guatemala on the South, the North Pacific Ocean on the West and the U.S. on the North. Climate: Cold and dry in the North and hot and humid with rainfall in the South. Population: 108,700,891 according to July 2007 estimate. Economy: The Mexican economy benefited from trade with the U.S. and Canada since the implementation of NAFTA. The economy is both agriculture and industry based, but modernization is yet to take off. Disparity in income distribution finds about 14% of the population below poverty line. The unemployment rate hovers around 4%. Religions: Roman Catholic 76%, Protestant 6%, Unspecified 18%. There is freedom of religion and evangelism is widespread. 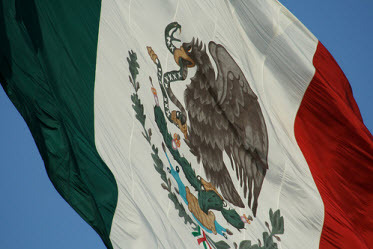 Travel Issues: Visitors to Mexico require a visa for entry. You need to submit a completed application form along with a valid passport, visa fees, and passport sized photos to the Mexican embassy in your country. Health & Safety: Immunization against Hepatitis A, Typhoid, Hepatitis B, Polio, Tetanus, and Diphtheria are recommended. Yellow fever shots are mandatory for those travelling from or transiting through African countries and other South American countries. The People: The people are of mixed European and Native American descent. Family bonds are strong and extended families of several generations live together. 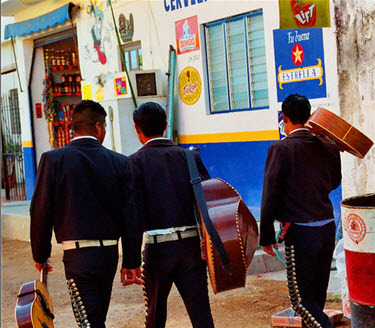 Mexicans are generally warm, friendly people and quite laid back in their way of life. 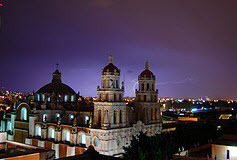 The Religion: Roman Catholicism is the major religion of Mexico. A large number of colourful religious festivals are celebrated with a great deal of pomp and show, with long processions and parades. Role of Family: Family values are handed down through generations. Traditionally women looked after the home and children, while men were engaged in farming. It is a way of life for extended families to gather around a large table for lunch and catch up with the latest gossip late into the afternoon. Now many young families migrate in search of a better life, usually to the U.S. Ancestors: Mexicans celebrate November 1st as the day of the dead in honour of their ancestors. There is no sorrowful mourning, but rather a celebration where streets and buildings are decorated with flowers. They pray for the souls of the dead and pay respects to their memory by decorating graves and lighting candles. 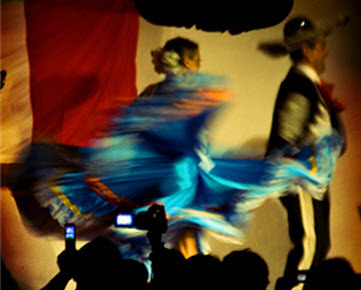 Recreational Activities: Bullfighting is a passion in Mexico. 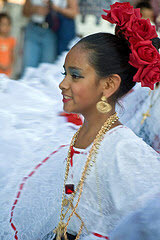 Rodeo events such as charreadas draw huge crowds who participate with exuberance. Soccer (Football) is also a national pastime and is popular with all ages. Anything else important for this culture: Mexicans tend to stand close when they talk. If it makes you uncomfortable, take care that you step away discreetly and not precipitately, as this may seem insulting. Meetings & Greetings: A firm handshake is an acknowledged form of greeting for both men and women. Casual conversation sets the tone for further serious discussions. Do not use first names unless invited to do so. Women are greeted with a kiss on the cheek, but do so only if the lady leans her cheek forward for you to do so. Some form of physical contact is inevitable in greeting, as a mere Hello would be interpreted as cold and impersonal. Courtesy: Common courtesy includes Please and Thank you at appropriate times. Social meetings are never inflexibly rigid, but tend to be rather casual. The use of titles is very important. Those with a professional title are addressed as such. You can take your cue from the introduction. Gift Giving: Gifts are tokens of appreciation and should be given when visiting for the first time. A box of chocolate will take care of most situations. Women can be presented flowers or perfumes. It is usual to present a gift to people who have done you a favor. If giving a gift to the opposite gender, indicate your spouse or partner’s role in it. Dress Code: Business suits are worn by men for most formal meetings. Extreme hot weather may find them in shirt sleeves and loosened ties. Women wear suits with either skirts or pants. Dining Etiquette: There isn’t any particular etiquette to be followed, but good table manners are always appreciated. If you invite someone out, you are expected to pay the bill. Splitting the bill is unheard of. It is the responsibility of the host to order the food after ascertaining the likes and dislikes of the guest. It is customary to linger at the table after the meal, and not leave immediately. Visiting a home: When visiting a home you could carry a token gift with you. Flowers and chocolate or a bottle of good wine are perfect for any occasion. Exchanging pleasantries will take care of the initial breaking of ice, which may then slip into comfortable camaraderie. Communication Style: There really is no hard and fast style that can be termed uniquely Mexican. But be prepared for a flamboyant expansiveness and some amount of gesticulations that are considered normal. Resting your hands on your hips when talking is considered aggressive, while having them in your pockets is regarded as rude. Dos and Don’ts: Petty crime and gang fights are quite common on the streets in certain areas, and it would do you well to be aware of such situations. Do not carry large sums of money on you. Credit card fraud is widespread and so it may be a good idea to pay cash at small outlets and shops. When drawing money from ATMs take care that you’re in a well-lit crowded place. 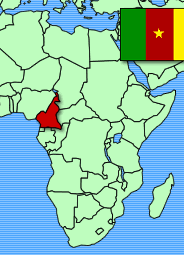 CAMEROON: FACTS & STATSLocation: Western Africa. It is bordered on the East by the Central African Republic, on the West by Nigeria, on the northeast by Chad, and on the South by the Republic of Congo. Capital: YaoundéClimate: Extremely hot and humid with plenty of rainfall. Population: 18,060,000 as of July 2007 estimates. 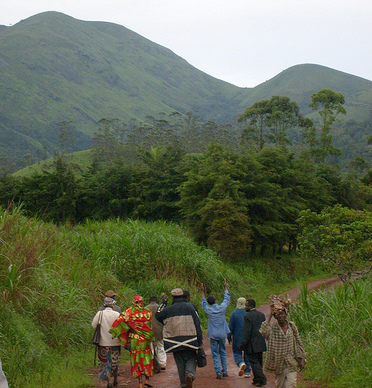 Though much better off than its other African counterparts due to thriving agriculture, forestry, petroleum industry, and trade, Cameroon is cursed by corruption and inefficient bureaucracy. According to 2006 estimates, GDP was $42.48, and is predicted to grow by 5.8% in 2008. Ethnic Make-up: Highlanders 31%, Equatorial Bantu 19%, Kirdi 11%, Fulani 10%, North-western Bantu 8%, Nigritic 7%, Others 14%. Religions: Indigenous faith 40%, Christian 40%, Muslim 20%. The constitution of this secular state guarantees freedom of religion. 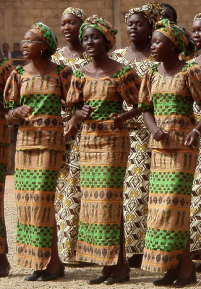 About 60 agencies from 27 countries do missionary work in Cameroon. Language: French, English, 24 African languages. Government: Republic, headed by President Paul Biya. Travel Issues: Travel to Cameroon requires a valid passport, visa, and proof of current immunizations including yellow fever vaccination. Your visa application should be send in duplicate to the Cameroon embassy in your country along with two passport sized photos, visa fees, a letter of invitation to visit, a copy of your return ticket, a copy of your current bank statement, and a pre-paid, self-addressed, special delivery envelope without which they may not return your passport to you. You may need to track the progress of your application, as they may not contact you if there is a problem. Health & Safety: Yellow fever shots are mandatory for all travellers over a year old. Other immunizations required are Diphtheria, Hepatitis A, Malaria, Tetanus, and Typhoid. Rabies shots maybe required depending on season and region of visit. HIV/AIDS is prevalent. Visitors would do well to not venture outside city limits after dark. This is to minimize dangers arising from factors such as ill-lit streets, unfit vehicles, and armed robbers that make attacks and accidents common. The People: About 200 ethnic groups each speaking their own language and having distinct cultural differences make up the ethnic tapestry. The prominent ones are the Bantu, the Sudanic, the Kanuri, the Bamoun, the Kirdi, the Tikar, and the Fulani. 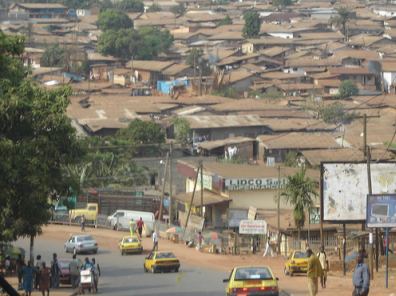 About half the population live in the cities, while the other half consist of pastoral communities living in rural areas. The Religion: Roughly 40% of the people follow traditional beliefs if any at all, while another 40% come under various Christian denominations. 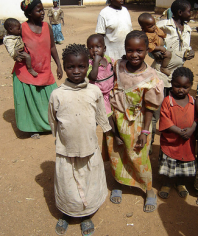 About 20% are Muslims and they belong to the Fulani tribe. Witchcraft is practised by some as part of traditional beliefs though it is deemed a criminal offense to do so. Role of Family: Traditionally, the family imparted a sense of identity and belonging to the individual. All who descended from a common ancestor including brothers and their wives and children belonged together as one unit with the oldest member considered a leader of sorts. Some communities do not have words to signify niece, nephew, uncle, or aunt; all were sons and daughters, fathers and mothers. Modernity has however given rise to a sense of individuality. Activities: Children in rural areas enjoy a good deal of physical sport in the form of running, jumping, and a kind of hurdle race. 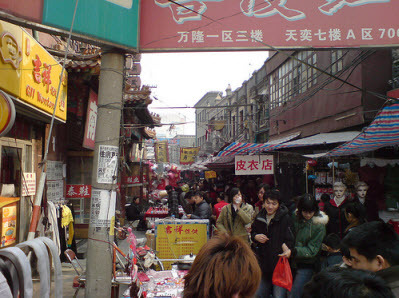 In the cities all modern forms of recreation ranging from computer games to organized art and craft work take up their free time. Traditional forms of recreation such as mankala still have aficionados but are few and far between. Football, aka soccer, is of course, a national passion. The Cameroon team places very highly in international competition and is widely esteemed by all Cameroonians. Anything else important for this culture: Polygyny is widely practised mainly due to the considerable importance accorded to fertility. Fear of divine retribution, the power of occultists, and ostracism from the community are strong governing forces. Meetings & Greetings: Greet people by name and a handshake. Wait to be seated as there is strict protocol depending on age, status, and hierarchy. If elders are present, speak when you are spoken to. When in the presence of a chief or tribal leader, it is considered impudent to hold their gaze, touch, or appear overly friendly. Courtesy: Do not cross your legs while seated. Always wait for the elder to initiate conversation. Do not take photos of people unless you first ask. Gift Giving: It is customary to carry a gift when visiting for the first time. Gifts of cooked and uncooked food are highly valued. It is a symbol of kinship and bonding. 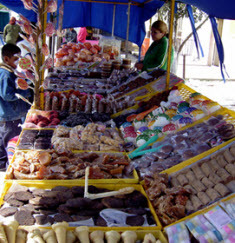 Fruits, nuts, chocolates, and candies are perfect when visiting families with kids. Etiquette: Dining is often a communal affair, seated on the floor and eating off common utensils. In many communities, women and children eat only after the men and guests have eaten. Hands are thoroughly washed before and after meals. Food is eaten with the right hand and never with the left. In the city areas, you may get to use cutlery. 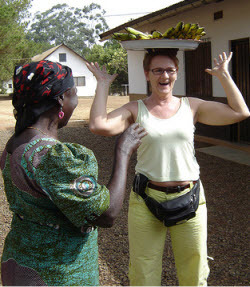 Visiting a home: Cameroonians are known for their hospitality. They are always ready to welcome visitors; even the ones that drop in unexpectedly. Remember to carry a small gift, especially if there are children in the home. You should not decline the food and drink offered as this may hurt their sentiments. Communication Style: A genial handshake and greeting by name is the common method of greeting for both genders. Close relationships warrant a kiss on each cheek. In conversation, adopt an indirect style of communicating rather than overtly stating exactly what you have in mind. Directness in communicating can come across as effrontery. It is wise to keep at least arm’s length between you and others while conversing with unfamiliar people. Certain gestures might befuddle folks who are not familiar with the lingo. A double click with the tongue is used to convey disbelief. If someone waves their forefinger in a back and forth motion, it means no. To beckon someone closer, you face your palm downwards and motion with the fingers. Never beckon someone with the palm up. 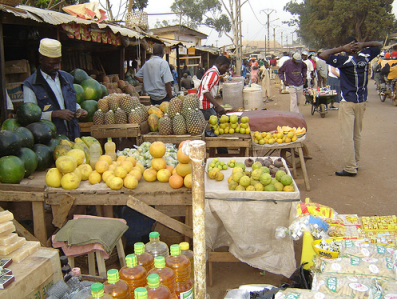 Shopping Tips: Be prepared to bargain when you are out shopping at the markets. If someone offers to show you around and you accept the offer, a small tip is expected. Go with small change instead of large denominations when shopping at small outlets. Do not flash your money in public. Try to blend in rather than stand out as a foreigner by your way of dressing and behaviour. Backpacks are often targeted by thieves and should never be left unattended. Make copies of all your travel documents including visa and yellow fever immunization and keep separate. Dos and Don’ts: Avoid travelling alone as much as possible. It is not considered safe for women to be out by themselves after 9 p.m. They are advised against catching a cab at this hour. Try not to get involved in heated discussions on politics, games, and other contentious topics with strangers who appear friendly. Keep away from large crowds, rallies, and gatherings even if your sympathies are with their cause. Avoid photographing military installations and government buildings including airports and post offices. Climate: Extremely hot summers and cold winters with rain and snowfall in the highlands. Population: 31,889,923 (July 2007 estimate). A series of invasions, war, and drought are main factors in the impoverished state of this country. The official unemployment rate hovers at 40%. 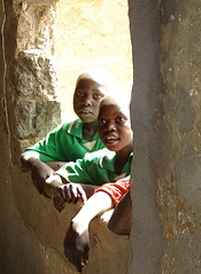 According to 2004 World Bank figures, about 60% of the population are affected by severe poverty. A recent rise in economy is based on agricultural production, a major part of which is opium. 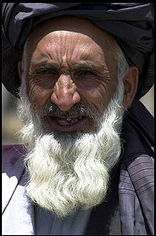 Ethnic make-up: Pashtun 40%, Tajiks 25%, Hazaras 18%, Uzbecks 6%, Turkmen 3%, Qizilbash 1%, and 7% others. Religions: Muslims form 99% of the population of which, 84% are Sunni Muslims and 15% are Shiite Muslims. The rest 1% comprises Hindus, Christians, Sikhs, Parsis, and Jews. 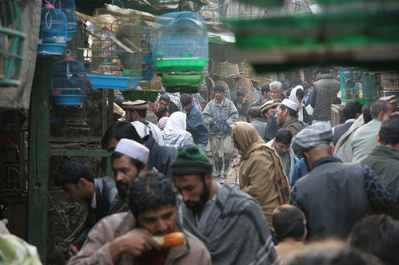 The Constitution of 2004 under the new government that replaced Taliban rule, states that Afghanistan is an Islamic Republic while granting religious minorities the freedom to practice their faiths within bounds of the law. However, evangelism is illegal and the consequences of conversion for Muslims may include the death penalty. 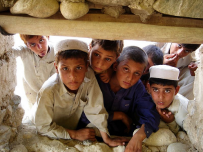 The language: About 50% of the population speaks Dari, 35% speak Pashto, and 11% speak Turkic. Dari is used for commercial and government transactions. Dari and Pashto employ Arabic alphabets when written. Government: Islamic Republic headed by the democratically elected President Hamid Karzai. 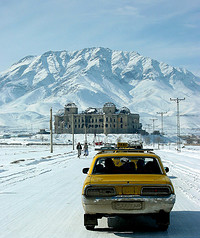 Travel issues: Travel to Afghanistan requires a visa. Your visa application should include the application form, a couple of passport-sized photos, the visa fees, and a letter of support in the case of those working in Afghanistan. These have to be submitted to the Afghan embassy in your country. Obviously, there is a war going on there right now, so you should also check with your embassy for travel warnings and additional requirements. 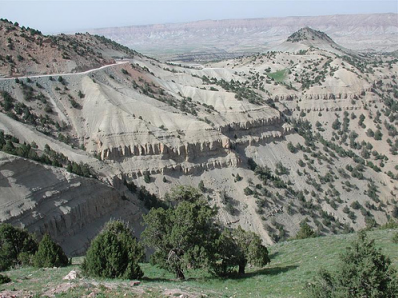 Health & safety: Anti-malarial shots required for travel to areas below 6,561 feet for travel between April and December. Also recommended for all travelers are shots for Hepatitis A, Typhoid, and Hepatitis B. Adult travelers who have not had polio vaccine as an adult are recommended to take a one-time booster doze. If you’re traveling from, or through, yellow-fever infected areas in Africa or the Americas, you’re required to take Yellow fever shots. If you may come in direct contact with animals in remote areas without medical access, you need to consider rabies shots. If you’re born after 1956 and not had a measles, mumps, rubella (MMR) shot, it is recommended that you get them. It is also recommended that you’ve had a Tetanus-diphtheria shot within the last ten years. 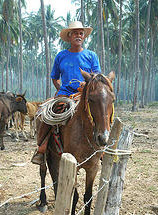 The People: Farming and maintaining livestock are the two main occupations. Both men and women have important roles here. Being a patriarchal society, men do dictate terms, but women, especially in nomadic societies, make important contributions such as weaving carpets, producing dairy products, spinning wool, and even tent making. The Religion: Religion is an intrinsic way of life and dictates all aspects of lifestyle from food to clothing. 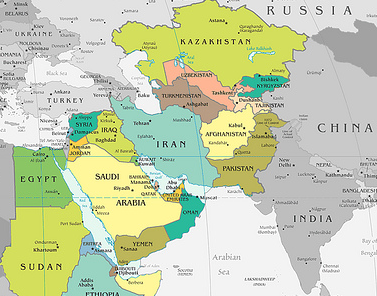 99% of Afghanistan is Muslim. The Role of Family: Strong family ties find families consisting of several generations living together as a household. The oldest male is the patriarch whose word is law. 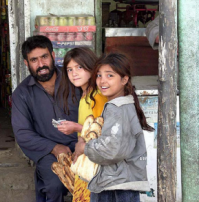 A group of such families form a village which has a religious leader, the Mullah, as the head. 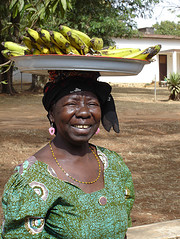 Traditionally, village women take care of children and household duties and are considered repositories of culture which they perpetuate through their children. Family honor especially that of women, is to be preserved at all costs. Ancestors: Elders and ancestors are accorded considerable amount of respect. Property and wealth are handed down through generations and the oldest living member is the one in control. Older women such as grandmothers are looked up to, especially if they have numerous sons. Recreational activities: In more peaceful times kite flying and chess were popular recreational activities. In rural areas polo, ghosai—similar to wrestling, and buzkashi, played on horseback with the carcass of a headless calf, were sources of amusements. Meeting and Greeting: Upon meeting, it is customary for males to embrace one another and then shake hands. Women kiss each other on the cheeks repeatedly on both sides, two or three times. In professional situations women may shake hands, but otherwise it is totally forbidden for men and women to touch each other or even hold eye contact. The traditional greeting in full form is Assalam u Alaikum, to which the reply is, Wa alaikum assalam. Courtesy: Address people by title rather than first name. It is common courtesy to initiate any conversation with general questions as to health, work, relatives, even to the extent of enquiring, “How’s everything?” You never enquire about female relatives, wives, sisters, and daughters. Tea will compulsorily be offered, and should be accepted gracefully. Gift giving: When you’re visiting for the first time, it is customary to bring along a simple gift that is discreetly offered or left behind in an unobtrusive manner. This is normally something edible in the form of sweets or fruits. Gifts are not opened in front of guests. Dress Code: Both men and women have dress codes that emphasize honor and dignity. Women, especially in rural areas, strictly follow a dress etiquette that covers their whole body. A long, loose robe called the burqa is worn over other clothes to totally hide the female figure. A head scarf or purda is worn to hide the hair and face. Foreign women are exempt from such measures but loose clothes that cover shoulders, arms, knees, and legs, and a head scarf are recommended. Men may wear formal suits. Dining Etiquette: You will most probably be seated on the floor on carpets, with cushions for support. It is customary to sit cross legged, but if that can’t be achieved, you can sit any way you want as long as your legs are not stretched out and pointing at other people. There is a seating protocol based on seniority, so wait to be assigned a seat. Food is eaten with the right hand, using fingertips to convey small amounts to the mouth, with head lowered. When dining, leave a little food behind when you’ve had enough, or your plate will be refilled. Visiting a home: Always take footwear off before entering living areas. Never enter a room without first announcing your presence with a knock or a cough. If in a group, the elders enter first. You should wait to be seated as this will be in accordance to your perceived status within the group. The host will never ask you the reason for your visit and it is up to the visitor to bring it up. It is important to remember that during the holy month of Ramadan all Muslims fast from sunrise to sunset. Though foreigners are not required to do so, it would be insensitive to eat, drink, smoke, or even chew gum in their presence. Communication style: In professional circles men and women do interact though under strictly regulated rules. You do not hold eye contact with the opposite gender. In rural areas, you do not even talk directly to the opposite gender. 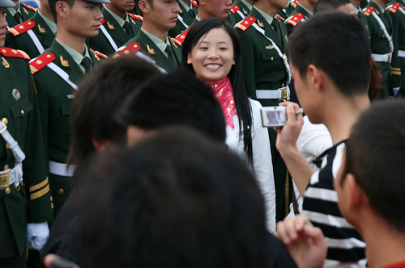 Foreign women may have some lee-way to speak to men, but it is important to avoid eye contact and keep your head lowered while communicating. A head scarf is useful to show your intentions are honorable. Dos and Don’ts: It is considered decidedly bad taste to talk or laugh out loud in public, especially if you’re a woman. Keep your voice levels down and adopt a non-invasive body language. Keep the soles of your feet out of sight when seated. Muslims pray about five times a day and it is only right that non-Muslims do nothing to cause disruptions. Avoid smoking, joking, or any other trivial activities at these times, especially in front of elders. Though foreigners may not be chastised for such faux-pas, they will certainly be considered dishonorable. You drive on the right side of the road and you need an International Driving License for this. Avoid or ask for permission before photographing areas next to military installations. Homosexuality is illegal; so is consumption of alcohol. Lone women travelers attract a lot of attention and is best avoided. 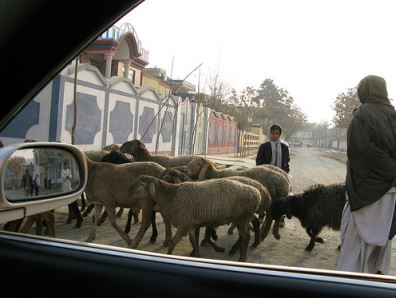 Areas such as Kandahar are still Taliban strongholds and are best avoided by all travelers. Food photo by rochelle, et. al. If we identify with our host culture, learn the language and eat their food, we will find a wealth of material for pointing people to Christ. Paul was a missionary who sought to identify with the people he went to. When he spoke to the Greek philosophers, he first spent the day walking through their statuaries and looking at their monuments. He discovered an altar to the Unknown God and used it as a bridge to reach the people. He stated that the God they worshipped unknowingly, could be known through Jesus Christ (Acts 17: 23). Even the statement, “For in Him we live, and move, and have our being” (Acts 17:28) is a line from a Stoic poem that Paul used to communicate Christ to the philosophers. 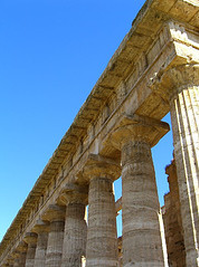 Paul did not destroy the culture, but by confirming the Greek’s cultural values he pointed them towards Christ. We should aspire to do the same thing by discovering what is important to the people and respecting what the Holy Spirit has already been doing before we arrived, as well as the culture of the people we are entering into as guests. *Twiss, Richard. One Church Many Tribes (Ventura, CA: Regal Books, 1996). Location: East Asia; Bounded by Mongolia in the North, Kazakhstan in the Northwest, Pakistan and India on the Southwest, Myanmar, Laos, and Vietnam in the South, and the East China Sea in the East. Climate: Ranges from Sub Artic in the North to tropical in the South. Population: 1,321,851,888 according to July 1997 estimates. 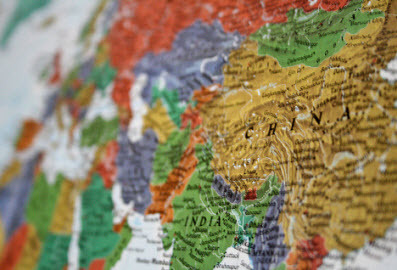 China is one of the fastest growing economies in the modern world. This is mainly due to rapid growth in industry and agriculture. 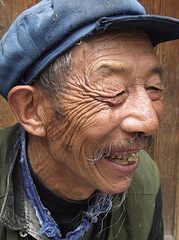 Ethnic Make-up: There are about 55 recognized ethnic groups of which the Han make up about 93.3%. 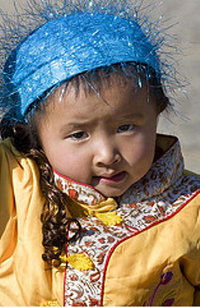 Minority groups such as the Zhaung, Uigur, Hui, Yi, Tibetan, Miao, Manchu, Mongol, Buyi, and Korean form the rest 7%. Religions: Major religions are Buddhism, Confucianism, Taoism, Islam, and Christianity. The Constitution grants freedom to practice religion within bounds of the law. Various Christian denominations make up about 1% of the population, of which 3 million are Catholics. 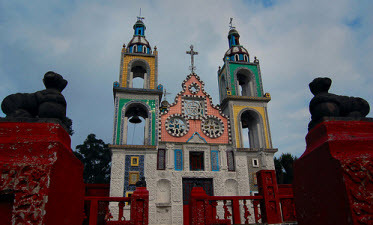 Missionaries and missionary work are banned in China, but it is known to be carried out as private enterprises. Language: The major languages include Mandarin (Standard Chinese), Cantonese, Wu, Minbei, Minnan, Xiang, Gan, and Hakka dialects. 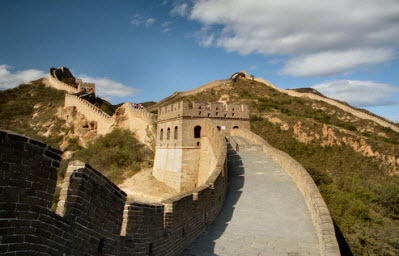 Travel Issues: A valid visa is required to travel to China. Your passport along with a completed application form, passport sized photos, and visa fees are to be submitted at the Chinese Embassy in your country. Yellow fever vaccination certificates are required if you are travelling from infected areas. Health & Safety: Tetanus shots as well as immunization against Hepatitis A, Typhoid, Hepatitis B, MMR, and Diphtheria are strongly recommended. Yellow fever shots are required if you are travelling from or through affected areas in Africa and the Americas. If you intend to spend time in rural areas and among animals, Japanese encephalitis, and Rabies shots are advised. 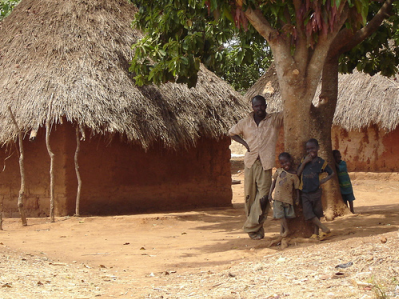 Immunization for Malaria is recommended if you will be travelling to rural areas in warm weather. Meningococcal vaccinations are recommended for all travellers under 40 years of age. Avian flu is a serious concern in some provinces. Get up to date information from your embassy before travel. 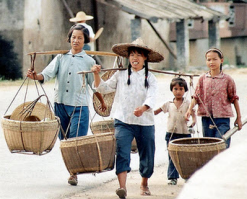 The People: Outside of the big cities, the society is agrarian and grows rice, tea or soy beans, and tends orchards. Rural people are very traditional in their lifestyle and are barely touched by modern advancements. A remarkable feature is the widespread use of bicycle as the favoured mode of transport. In cities, traditional norms have given way to speed dating, women entrepreneurs, and equal relationships. The Religion: The majority of the population follow Buddhism or Confucianism, with small minorities following Islam and Christianity. Role of Family: In rural areas, extended families of many generations live together under the patriarch. While this may not be the case in cities where nuclear families are the norm, there is a strong bond between elderly parents and children. They are always at hand to help and keep in touch even if they live apart. 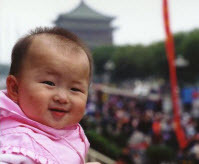 Modern families follow the government’s one-child policy. Ancestors: Traditionally ancestors were considered powerful allies in the spirit world. Early societies held graveside feasting to appease the dead and bring about good fortune and help from the other side. Recreational Activities: Physical exercise is an intrinsic part of daily life. Early mornings find people of all ages gathered in parks and other open spaces practising traditional exercises such as tai chi, qui gong, and other forms of martial arts. Badminton and table tennis are highly popular. Modern day sport such as basketball, football, and even cricket and baseball have huge takers. Anything else important for this culture: Chinese believe in the principle of yin and yang, or opposites in nature. They also believe that qui (pronounced chi) is an all pervading energy which when free flowing brings about good health and wealth, but if obstructed causes disease and misfortune. 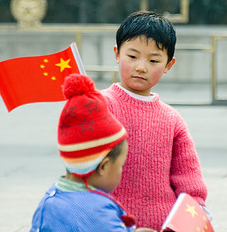 Avoid getting into arguments or heated discussions that may cause your Chinese counterpart to lose face. The term means causing someone to be disgraced in public. Simply agree to disagree amicably and let it be. Punctuality is highly rated and being even 10 minutes late is considered an insult. Meetings & Greetings: The traditional form of greeting involves cupping palms in front of chest and bowing slightly, but this has been widely replaced by the ubiquitous hand shake. The stranger or the younger person is introduced first to the elder. Formal conversation begins with inconsequential topics such as weather and business and then progresses to the matter at hand. Courtesy: Invitations to lunch or dinner should be returned. Gifts are not opened in the presence of the giver. It is considered bad manners to blow your nose at the dinner table; leave the table should the necessity arise. Pointing with the index finger is to be avoided; you may instead use your whole palm. Handing things over to someone should be done with the right hand or even both hands, even if it’s only a business card. Gift Giving: It is considered common courtesy to carry a gift when attending parties, birthdays, and other special events. When visiting, it is appropriate to take along a gift in the form of wine, cigars, or chocolates. Food in the form of sweets and pastries are also acceptable. Do not offer alcohol to Muslims. Clocks are considered bad luck and should never be offered as gift however ornate. When presenting gifts to elders make sure it comes in pairs as odd numbers are thought to portend death. Gift wrapping is usually red as it is considered a lucky color; never black or white as both are thought to be unlucky. Gifts are to be exchanged without drawing too much attention to the scene and should not be too expensive. Dress Code: China is a conservative society and so avoid low necklines and too much skin showing. Shoes strings and spaghetti straps are alright in the big cities, but may draw a lot of attention in the rural areas. Chinese men rarely wear shots even in summer and are content to roll up their pants in a bid to cool down. Tourists are often spotted in shorts and t-shirts. If appearing for a meeting, suit and tie is the way to go for men, while women can don suits with pants or skirts. Dining Etiquette: There is a seating protocol in China, so it is best to be invited to sit down before taking your seat. Unless dining at an upmarket restaurant, chances are you will have to eat with chopsticks and spoon. When using chopsticks, make sure it is not pointing at anyone and do not wave it in the air while talking. You should not lick your chopsticks or let it get coated with sauce or dipping. Don’t let them stand vertical in a bowl of rice as this is considered bad luck. Order an even number of dishes rather than odd. When you’re done eating make sure there aren’t too many leftovers, for this conveys that you weren’t happy with the meal. But neither should you polish off your plate. Never turn a whole fish up side down when you’re done with one side; rather remove the entire bone and continue. Though you’re not expected to know all the dos and don’ts, your efforts in this direction will be appreciated and bring you honor. Visiting a home: Always call before visiting someone at their home and fix an appointment. Be punctual. Bring along a token gift that is not too ostentatious. Greet all members present even if they’re not known to you. Your host will invite you in and ask you to be seated. You will be offered tea and snacks such as dim sum. Never refuse their offer of hospitality. Do not overstay but leave within an hour unless requested by your host to stay longer. Greet everyone before taking leave of them. Communication Style: Hand shakes are the accepted form of greeting, but take care that it is not a bear grip. This conveys aggression and is not appreciated. You will soon notice that their grip is firm yet leaning towards limp as this is considered acceptable. Eye contact should not be prolonged but fleeting and frequent. A nod while you are talking does not necessarily mean they are agreeing to everything that is said, but merely that you have their complete attention. Dos and Don’ts: In the course of a conversation, take care to not hurt sentiments by raised voices, too much gesticulations, loud laughter, or private jokes in English. The Chinese do enjoy jokes but ensure that your jokes are not of a political or sexual nature. Do not make the mistake of writing in red ink as this means you want to terminate the relationship. Never gift pears to a couple. I briefly had a roommate in college that thought very differently than I. Although we grew up in the same culture and spoke the same language, our habits and personalities were worlds apart. These differences seem to be hooked up to an amplifier when we take a step into a new culture. Teaching the Gospel in a way that works at home may confuse or even offend someone from a different culture because of our presentation style. We can avoid these blunders by attempting to understand reality from their point of view. Hudson Taylor was one of the first missionaries to accept and identify with his host culture, which was China. He dressed in typical Chinese apparel, ate their food and learned Chinese. He also dyed his blonde hair black and wore it in a long braid as the other Chinese did. 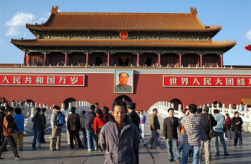 He embraced the culture and was able to communicate the Gospel in a way that was relatable to the Chinese people. I have a friend from China who recently became a Christian. In the time leading up to her acceptance of Christ, we had several opportunities to talk about faith and various facets of Christianity. One day, we were looking at the map of the world and I pointed to Israel and told her that Jesus lived there while He was on earth. She was shocked and asked me, “You mean Jesus wasn’t born in America?” For her, Christianity was a foreign religion. We never know what our cultural expression says about Christianity and about the person of Jesus Christ. We want to eliminate cultural barriers so that those who receive the Gospel know that Jesus came for all people and not only a few. © Missions Launch. All rights reserved.